The Asianic branch in Park Square One had been holding onto this mouse for the longest time. 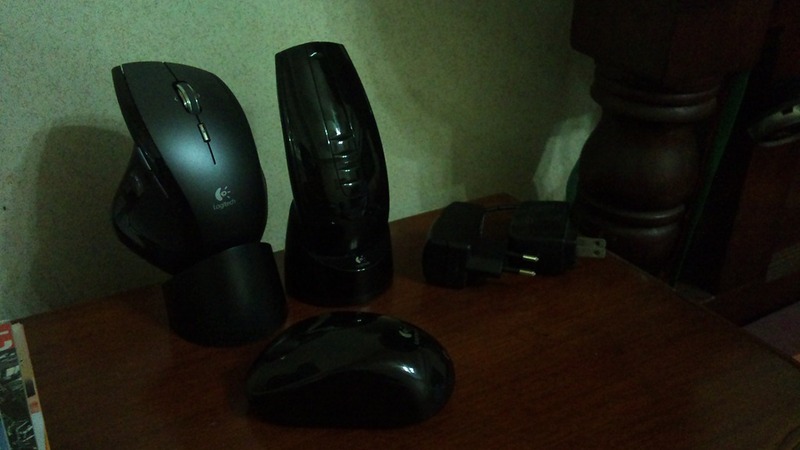 They seemed unwilling to give it off at a lower price from which they had acquired it, but then a few days ago I noticed that the price tag has been updated and so it came to be that a new addition to my family of Logitech mice happened to come along. It’s the one on the center of the photo above. 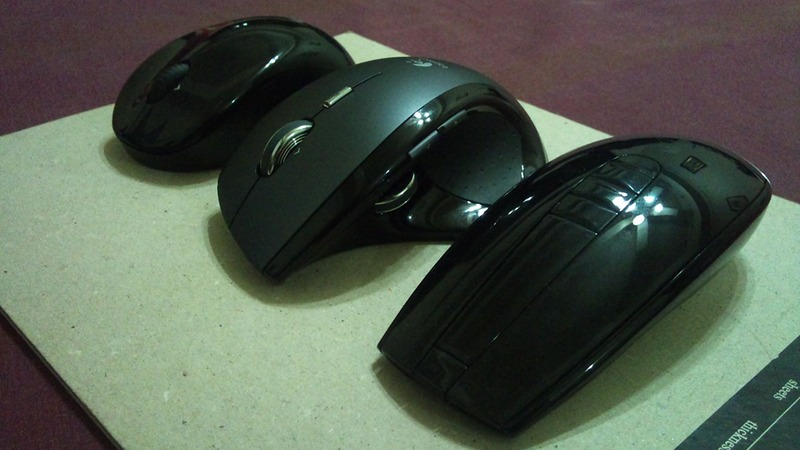 A little backgrounder, the MX Revolution is the precursor to the more recent Performance Mouse MX which already has the Darkfield technology. The form factor of the two are almost identical leave for updated button stylings and a mini USB connector which allows for uninterrupted use even while charging for the Performance MX. Designed in 2006, the MX Revolution features an adaptive scroll mechanism which allows cruising whenever a certain speed is detected. It also has a thumb scroll with three programmable motions in addition to a forward, back, and search button rounding up the nine buttons and gestures that provides an unparalleled level of control during the time. When I first used it, the scroll was a bit disorienting as it shifts from one mode to another; enter Logitech’s accompaniment software SetPoint to fine tune the mouse to the user requirements which in this particular case is me. After a few tweaks to the speed, acceleration and functionalities, I was confident enough to be able to use it as a tool for production. The mouse’s footprint and weight foster mouse operations with little lateral movement and no lifting from the surface. The mouse is quite big; mainly because of the extended part where the thumb rests, it wont fit into any of my pouches. The combination of matte and glossy finish accents is a treat to use and doesn’t require as much cleaning as when I’m using the Air. Like the MX Air, this one has a pedestal / charging dock. Also, like the Air, the USB key protrudes about an inch and a half from the port, this was the time when there was not yet any nano-receivers or unifying series. Both the Revolution and the Air use the same laser tracking technology and although its not Darkfield yet, it responds properly to surfaces with inherent glossiness.